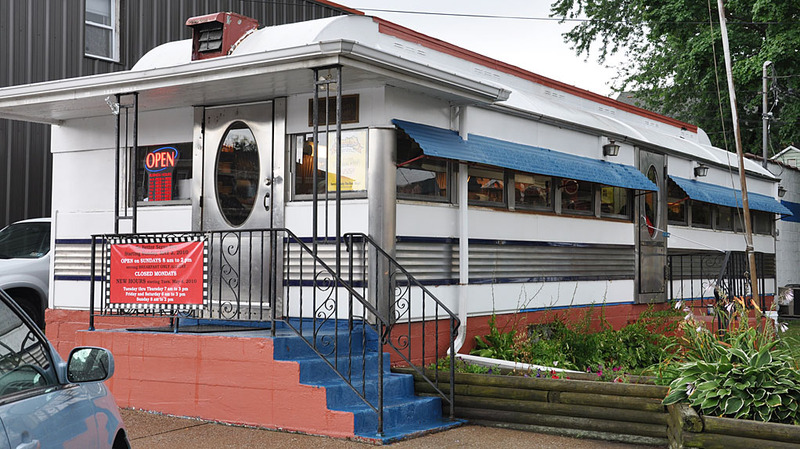 Eulla Mae's was tucked away in the Adams Antique Mall, just down the road from Zinn's Diner (now Park Place Diner). 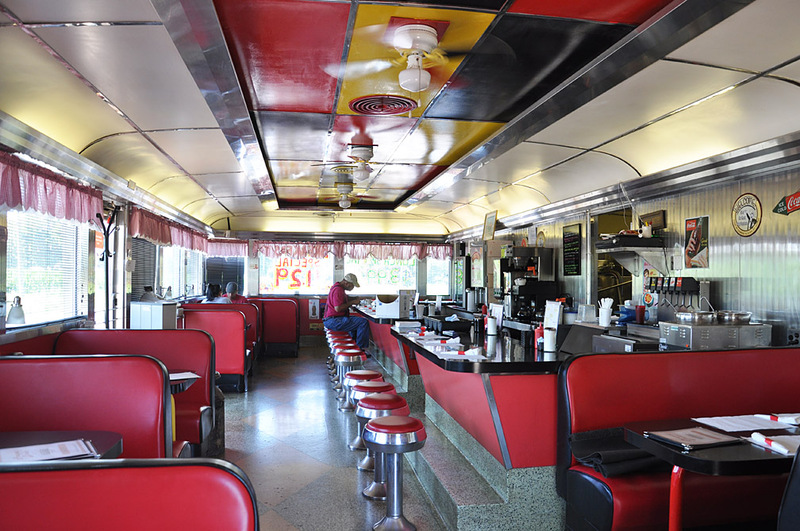 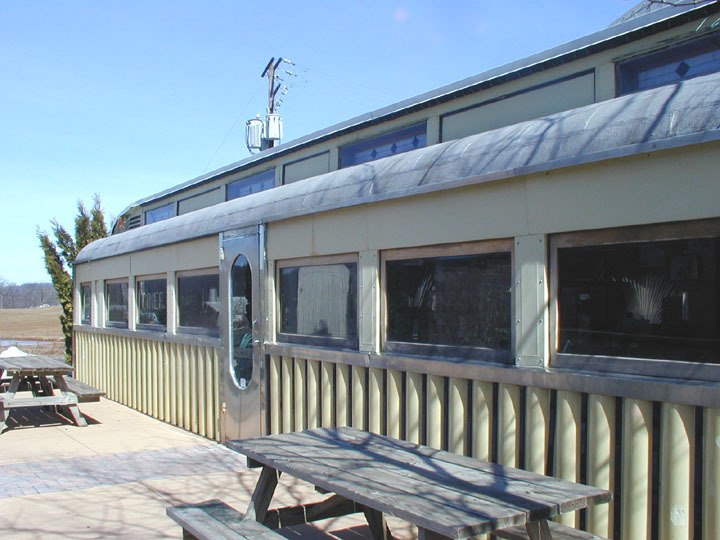 This 1939 Kullman was previously known as Eulla Mae's Diner and later as Cecil's Diner when it was located in FL. 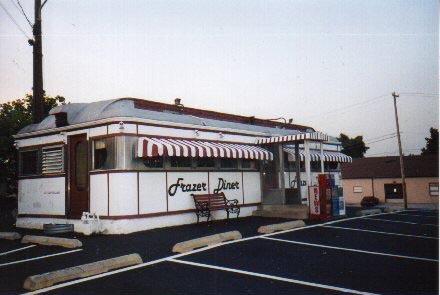 It was sold and restored and brought here in 1995. 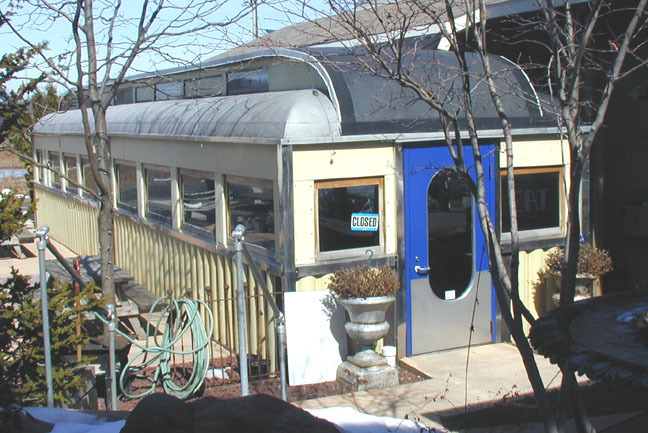 In 2005, it was sold and moved to Washington, DC. 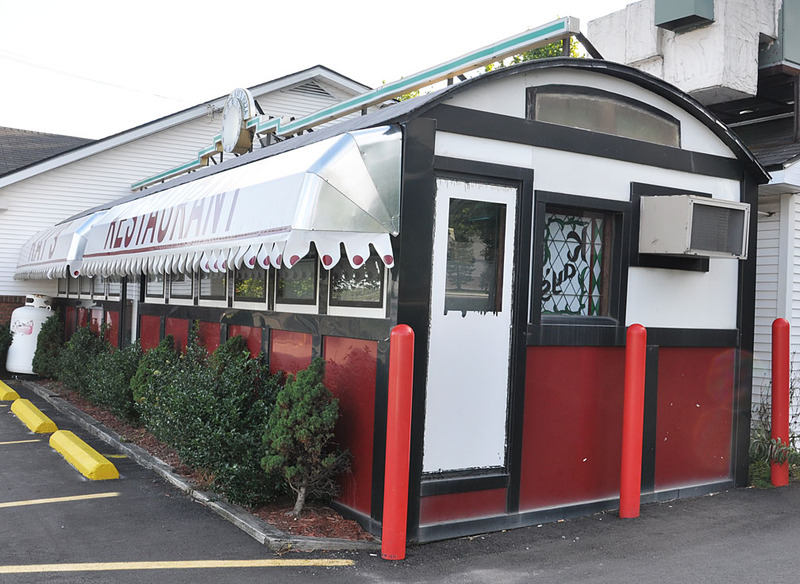 There were plans to open the diner as "Fat Dog's Hot Dog Bistro". 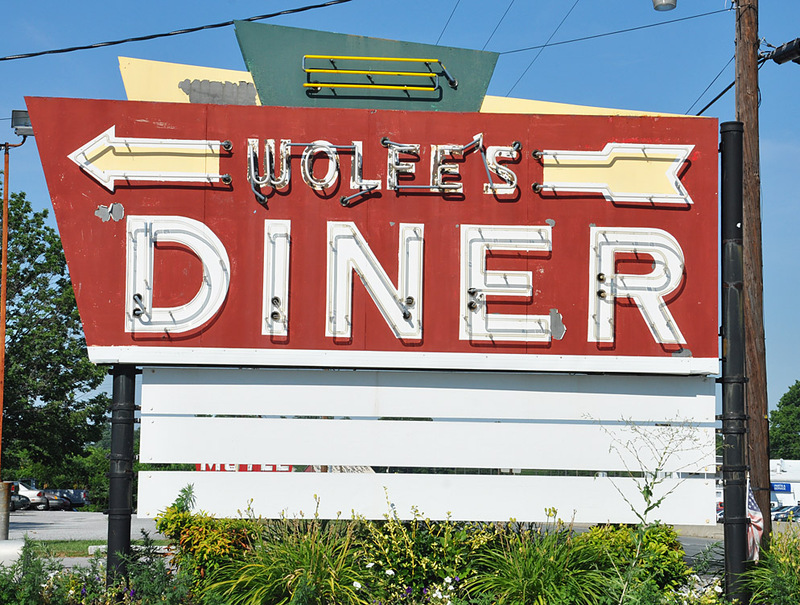 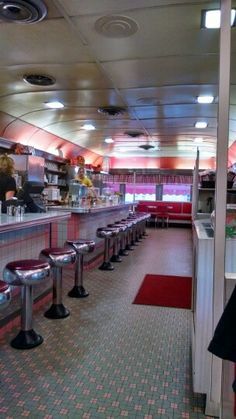 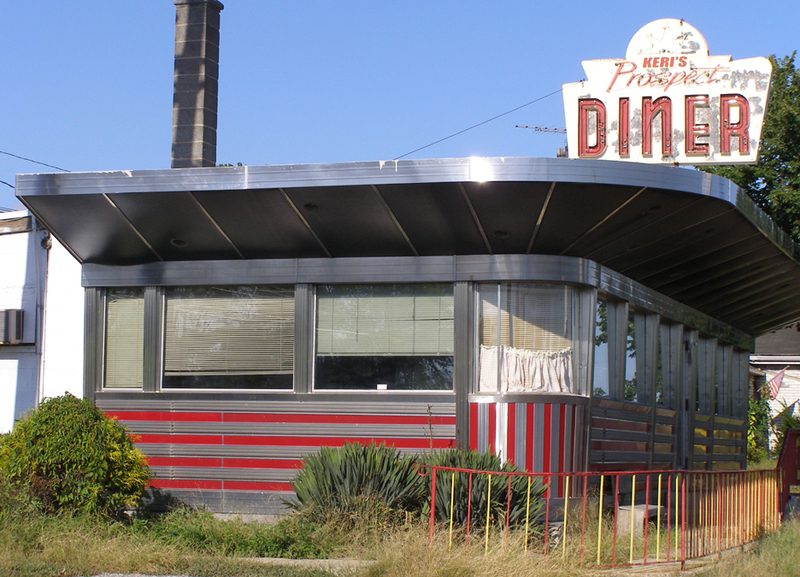 However, I'm not sure if that ever happened before the diner was demolished in 2006.